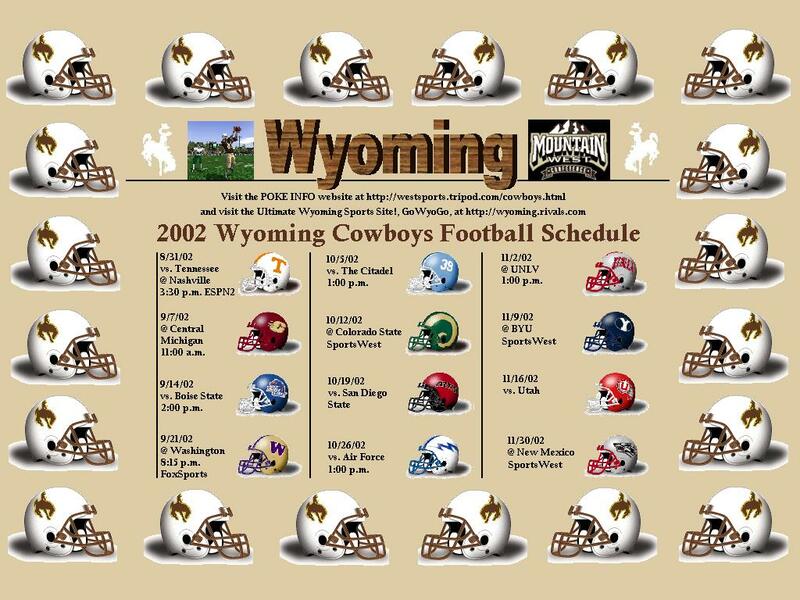 The 2002 Cowboy Football wallpaper is finished!!! Click here to access the wallpaper, let the picture load, and then right-click and choose "Set as Wallpaper". I hope you enjoy my creation and if you have any problems, don't hesitate to email me at gfbball@yahoo.com. GO POKES! --The MWCvsWAC football page has been updated for this coming season and includes television information. --In addition, I have created many new things and updated a lot in the Poke Info section for you UW fans out there. Check out the many new features over at the main page, basketball page and the football page. UW memorial to the "8"